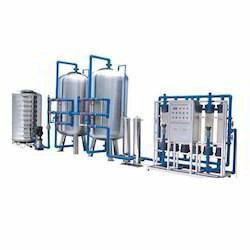 Pioneers in the industry, we offer water treatment plant from India. We are actively engaged in manufacturing, exporting and supplying a qualitative range of Water Treatment Plant for Pharmaceutical Industries that has low water consumption. The treatment plant offered by us is manufactured from supreme grade material and leading technology with the set industrial standards. This treatment plant is tested against numerous parameters by quality experts to ensure its flawlessness. Also, this treatment plant can also be customized as per various specifications of our customers.